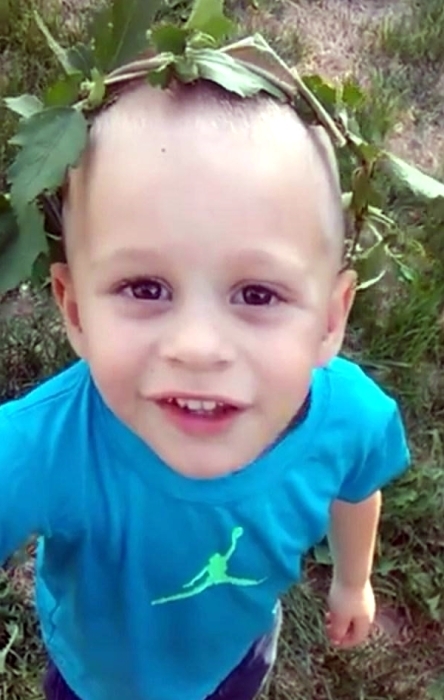 Azazel J. Fischer, 3, of Monmouth, IL, passed away at 10:59 p.m., Friday, February 1, 2019 at his home. Azazel was born July 21, 2015 in Galesburg, IL the son of Andrew P. Fischer and Alexandria A. Harnish. He was raised in Monmouth, IL. Azazel had a kind and loving heart. He was very talkative and full of little boy energy. He loved to swim, talk about Spiderman and Batman, play with his cars, sing and count. He loved to watch Blippi and Morphle on YouTube. Survivors include his parents and sister, Illiana Fischer all of Monmouth, IL; his maternal grandparents, Michelle (Jason) Baldowsky, of McHenry, IL Justin Linder of Lena, IL and Michael Harnish; Paternal grandmother, Brenda (Alton) Klick of Milan, IL; maternal great grandparents, Rae & Kenneth Kuhlemeyer, Jayme & Debbie Hinder and Alex “Dan” McIlvanie; paternal great grandmother, Myra Fredrickson of Monmouth, IL, his aunts Regan Burrell and Danica Fischer; uncles, Alex Burrell, Scott Burrell, Michael Harnish, Tyler Linder, Nathaniel Fischer and Zane Fischer; several cousins. He was preceded in death by his infant twin brothers, Colton and Jase Harnish; his paternal grandfather, John D. Fischer; great grandfather, Terrence Walters and great grandmother, Nina Pauline Clong. A Celebration of Life will be at 3:00 p.m., Sunday, March 3, 2019 at McGuire & Davies Funeral Home and Crematory, Monmouth. Visitation will be prior to the service from 1:30-3:00 p.m. at the funeral home. Memorials may be given to the Azazel J. Fischer Memorial Fund.